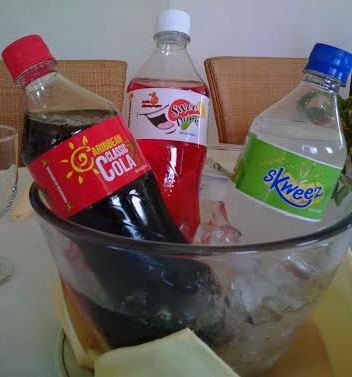 56 years after receiving permission to be the exclusive manufacturer of Coca-Cola in Grenada, the Directors of Grenada Bottling Company, as of 15 April 2015, bid farewell to the product and have launched a new line of carbonated drinks. “We launched 13 new products in the last 2 months,” said Managing Director, Frances Taylor, who explained that since earlier 2014 Coca-Cola International had informed them that they will be doing some restructuring within the region. During the last quarter of 2014, Taylor said that the company sent a proposal to Grenada Bottling with the terms and conditions of the new arrangement. “After we considered the proposal, we decided to discontinue the franchise, because the offer was unacceptable to the company and its employees,” she told the media during a briefing on Wednesday. “They offered us 40% of the value of the company and a condition that manufacturing cease 12 months after the agreement,” she shared. Besides Coca-Cola, Grenada Bottling also manufactured Fanta and Sprite — all products of Coca-Cola International which is headquartered in Atlanta, Georgia. The decision to decline the offer meant that Grenada Bottling had to make some decisions for the continued operation of the plant, which employs close to 60 persons. 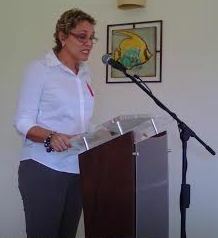 The company already had its own water on the market, and it was against this background that the directors decided they would venture into a new line of products for the Grenada market to fill the void when franchised products were gone. “We had 3 months to plan our strategy in going forward, and in February, we launched the first 3 products, to coincide with our independence celebrations,” said Taylor, who explained that since introducing the first batch of products on the market, there has been positive feedback from consumers. “With a commitment from our hard-working staff, we now have the Caribbean Classic Cola, Swee Drink flavour brand, and the Skweez flavor brand on the market,” said Taylor. The concentrates for the products are imported from both within and outside the region, but it is the intention of Grenada Bottling Company to develop more products, as well as export the brands to other regional territories. Already, the company has identified distributors within other OECS territories and Barbados, and it is just a matter of time before the first export batch departs port St George’s.